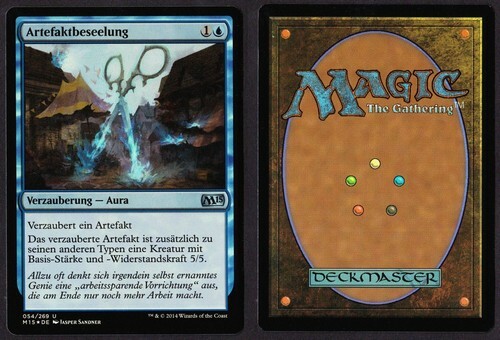 The grading of Magic cards sometimes leads to conflict among buyers and sellers, mainly because grading is not an exact science. One person might consider a card to be still Near Mint while the next one thinks it is in Excellent condition. To some extent these conflicts are inevitable, but to help minimize the chance for misunderstandings we have put together a guide to help you grade your cards correctly. Historically the grading system that Magic uses today comes from the grading of baseball cards. 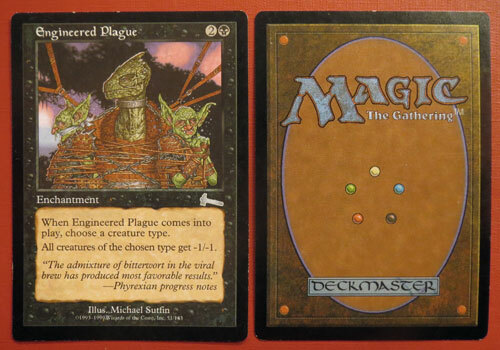 The Inquest Gamer magazine adopted the Baseball cards grading system for Magic cards as early as 1995. Early on the accepted grades were Mint, Near Mint, Excellent, Very Good, Good, Fair, and Poor. 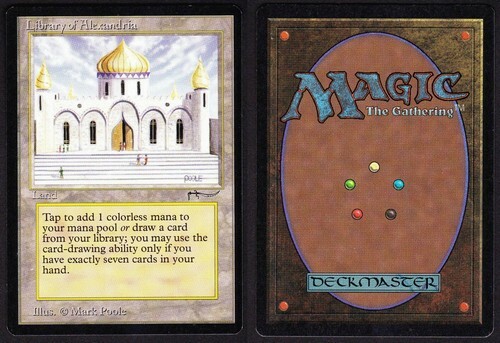 Over time Magic's grading system has evolved to reflect the needs of Magic players. Over time especially at the lower end the large range of grades was replaced with a smaller number of grades. In the most extreme cases the six grades from Excellent to Fair were condensed into the grades Slightly Played and Played. Generally the use of Played, Slightly Played, and Heavily Played is uncommon in Europe, but has become the standard way of describing cards in the USA. In Europe the grading system is still largely a remainder of the PSA grading system for baseball cards, however the names have changed a bit. Fair and Very Good are grades that are used just very rarely these days. The MKM grading system tries to image the way cards are usually graded in Europe, and uses Mint, Near Mint, Excellent, Good, Light Played, Played, and Poor. As "a picture is worth a thousand words", we provide also some sample pictures that can help you identify the right condition for your card. A mint card is in perfect condition; no excuses. This means, that the front is in perfect condition, there are no scratches on the surface, and the surface is perfectly clean. For the back it means, that the card is indistinguishable from cards of a newly openend booster. If a card has a signature or a Grand Prix stamp it can never be graded Mint, even if the card stock is otherwise in Mint condition. In most cases it doesn't make sense to grade a card as Mint. For in print cards the value of a Mint card is just about the same as that of a Near Mint card, but the grading standards are way higher. On the other hand really old cards (1993-94) may command a high premium if they are in actual Mint condition. Thus 'Mint' is mainly a grading for cards where there is a high collectors' interest. For cards that are sold mostly for playing purpose a Near Mint grading will usually do. A Near Mint card looks like it has never been played without sleeves. Small allowances can be made, but the card generally shows no wear. The border of NM card can have small white spots, but they must be very few and very small. When the card is inspected under bright daylight, the surface must generally appear clean. It can have a few minor spots, but scratches can never be allowed for NM cards. As the Mint grade is often not used for cards of newer expansions, Near Mint usually means Near Mint or better (equivalent to the American NM/M grade). An Excellent cards look like it was used for a few games without sleeves. For Excellent cards it is almost always clearly visible upon first inspection that the card is not in perfect condition. However, although the damage is clearly visible it is only of minor severity. Excellent cards usually have a couple of white spots at the corners or around the border. The surface may have minor scratches, that are visible upon closer inspection. However, the card cannot be graded Excellent if the creases are so deep that they are visible upon first sight. An Excellent card is usually in a condition where it is not quite clear if the card would be considered marked or unmarked if it would be played in a tournament without sleeves. The American equivalent usually is Slightly Played or Lightly Played (not to be confused with the European Light Played). A Good card looks like it might have been used for a long tournament without sleeves. Cards in Good condition usually show strong wear all around the card. The edges and corners have many white spots, the surface usually has scratches and the card usually has accumulated some dirt on its surface. However, the card still only has damage that stems from regular play. The card has no water damage or bends whatsoever. A Good card (and all cards in worse condition) are clearly in a condition that would make them ineligible for play without sleeves as they would be considered marked. The American equivalent to this is usually 'Moderately Played' or 'Very Good'. Note that 'Good' is a bit of a misnomer. A Good card doesn't really look good. In fact it looks pretty beat up, making the American Very Good even more of a misnomer. A Light Played card looks as if it has been used without sleeves for an extended period of time. A Light Played card is clearly legal for play in a sleeved deck. It has also not been tampered with (inked border, random scribblings on the card etc.). If both of these criteria apply the card may look very bad, but it can be graded Light Played. The American equivalent usually is 'Played' or 'Good'. A Played card looks as bad as you can get a card through regular use without sleeves. A Played card looks extremely bad, and it is doubtful if the card is tournament legal even in a sleeved deck. However, the card has not been tampered with otherwise (inked border, random scribblings on the card etc.). The American equivalent usually is Heavily Played or Good. A Poor card has damage that cannot normally have stemmed from regular use of the card. A card in Poor condition is literally destroyed. 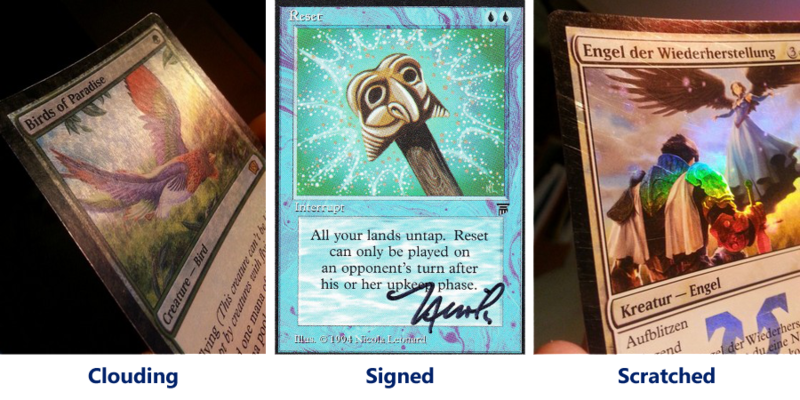 It is either obviously illegal for tournament play or has been tampered with in ways that destroy its worth almost completely (inked border, random scribblings on the card etc.). Americans usually use Poor in the same way. A card is considered altered when the artwork of the card has been altered as a means of personalizing the card in a way that has some artistic merit. 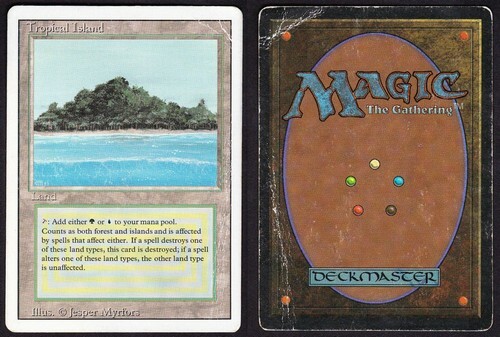 The most typical way of altering a card is to extend the art over the rest of the card, but there are basically no limits to the imagination if the artist. An altered card should only be offered with a scan. Americans use a different grading terminology than PSA and MKM these days. Different stores have different techniques, but it generally comes to down to something like Mint/Near Mint (M/NM) being the best followed by Slightly Played (SP), and Played (PL), Heavily Played (HP), and finally Poor. Refer to the explanations of our gradings for a rough translation. A card is bent if the structure of the paper has been damaged due to excessive bending. Tampering with the border of a card will always result in a card that is in Poor condition. Blackening the borders of a card is mainly an action of destroying its value in an attempt to improve its looks. However, precisely for that reason it is also done to sell a card for more than its inherent, remaining value. This is considered fraud, and will lead to exclusion from MKM. If a card's borders have been altered ALWAYS make sure to offer it as Poor and explain that its borders have been tempered with. This is particularly important for Unlimited cards that have a blackened border. Offering these as Beta cards is a fraud attempt and might lead to legal consequences including criminal prosecution. Don't do it! A card that is clouded looks dull although no major damage can be observed in the clouded spots. Clouding is basically an effect of microscopical damage to the card surface, that might add up over time to produce this dull effect. Visible clouding precludes a card from being Near Mint. A sample image is shown at the bottom of this page. The same principles as outlined above apply for foil cards. However, when grading foil cards, you might want to take into account, that foil cards are not only playing cards, but always collectors items as well. After all the customer pays extra to get this version of the card. That means that somebody buying a foil card is probably even less inclined to look over an a-bit-too-liberal grading of a card. When grading foil cards take special care to look for creasings and clouding on the front of the card. On nonfoil cards these damages make the card appear uglier, but the effect is compounded for foils. 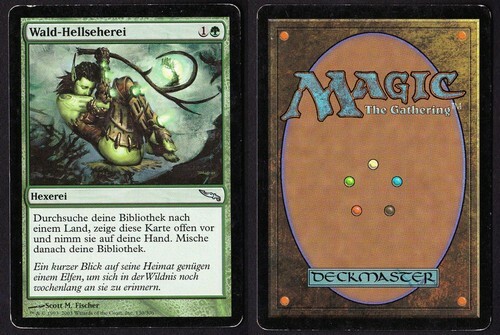 This grade is sometimes used in the description of Magic cards. It is supposed to be better than Mint. How can a card be in better condition then Mint? The idea is that when a card is described as Mint then it is assumed that it is perfectly preserved, however it may have a few very minor printing imperfections such as being imperfectly centered or the horizontal lines that sometimes appear on Unlimited Edition cards. A Gem Mint card has none of these. It is perfect in every way. We don't support grading cards as Gem Mint. MKM is a platform where the vast majority of customers are players, and players are usually satisfied with Near Mint cards. Advertising a card as Mint basically means that it satisifies collectors' criteria. In these cases a scan says more than an additional distinction of Mint and Gem Mint. Nobody hinders you from placing a comment that says 'Gem Mint', though. A card is considered inked when the borders of the cards have been "improved" with the help of a pen (p.e. fine liner) to make them look better. Cards that have undergone this kind of treatment are always considered to be in Poor condition. The process of grading of old cards is in no way different from that of grading new cards. No allowance is made for the card being old. A 20 years old card has to adhere to the same criteria as a 2 days old card. Sometimes cards are offered with a comment like NM- or EX+. This is supposed to mean that the card is at the lower end of the Near Mint spectrum (NM-) or respectively at the higher end of the Excellent spectrum (EX+). We don't support this kind of grading, but taking into account that a grade always represents a spectrum of possible conditions it makes some sense. Please just make sure, that when you grade a card NM- you can justify calling it Near Mint. This is not an excuse for selling cards in Excellent condition as Near Mint. Grades like GD+ work in an analogous way, however it usually only makes sense between Near Mint and Excellent, as nobody really cares if a card is LP+ or LP-. Generally we recommend to NOT USE partial grades. Sometimes a card is not flat when put onto the table. It may either appear a little concave or convex. Both is fine for cards that are not graded Mint. However, if the card has been deformed so strongly and lastingly that it might not be tournament legal any more, then it has to be graded Played. Abbreviation for Professional Sports Authenticator. This is a large third-party authentication and card condition grading service. Occasionally you will find something like PSA 8.5 in the description of a card. That means, that the card has been authenticated and graded by PSA. Their grading scale ranges from 1 / Poor to 10 / Gem Mint. If a card has scratches on the surface, this makes the card GOOD at best. Scratches are mostly important for Foil cards as the Foil surface is much more sensitive to scratches. A sample image is shown at the bottom of this page. 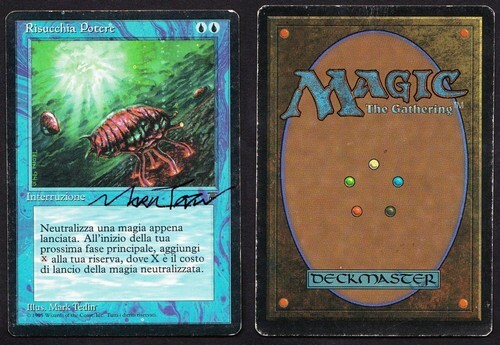 A card can be marked as signed on MKM if it has a signature of either the artist or Richard Garfield. In some cases where a very close connection between a celebrity and the given card is apparent the card can also be marked as signed. For example a Jon Finkel signed Shadowmage Infiltrator will do. However, when you go ahead and sign your White Knights they may not be considered a signed card. Instead they must be graded Poor. A sample image is shown at the bottom of this page. A card obtained in the Limited portion of a Pro Tour or the second day of a Grand Prix usually will bear a stamp. While a stamp may come with some memories for the player who got the card originally it is mostly an unwanted alteration of the card to everybody else. For the classic GP/PT stamps this is not so bad as they are small and unobstructive, however for the modern European GP stamps that is a different matter as they disfigure the artwork. A stamped card can never be offered as NM. Cards with the classic stamp can be graded Excellent, for the Modern stamp Light Played is the best possible grade. Cards with water damage should be graded Light Played to Poor depending on the severity of the damage. The best guideline would be that a damaged card that is clearly still tournament legal should be graded Light Played, and one clearly not tournament legal would be Poor. Something in between is Played. Make sure to point out the damage in your descripiton of the card. Cards with whitened borders have to be offered on MKM as Poor. However, compared to cards with blackened borders there is way less incentive to try any shenanigans here. Just don't offer them pretending to sell some kind of ultra-rare misprint.